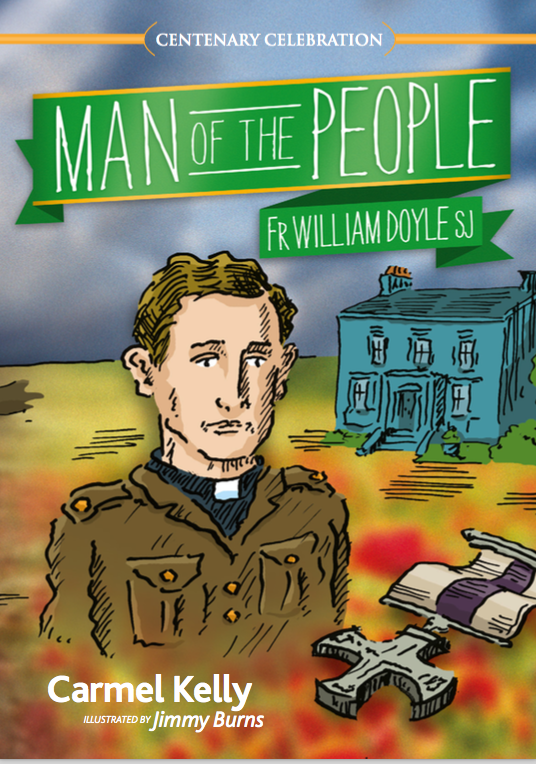 HomeThe death of a hero: 101 years ago today, Fr Doyle laid down his life to save wounded soldiers. 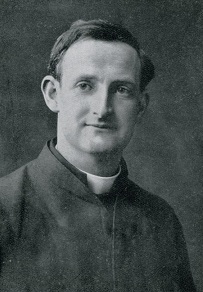 The death of a hero: 101 years ago today, Fr Doyle laid down his life to save wounded soldiers. My Martyrdom for Mary’s Sake. Darling Mother Mary, in preparation for the glorious martyrdom which I feel assured thou art going to obtain for me, I, thy most unworthy child, on this the first day of thy month, solemnly commence my life of slow martyrdom by earnest hard work and constant self-denial. With my blood I promise thee to keep this resolution, do thou, sweet Mother, assist me and obtain for me the one favour I wish and long for: To die a Jesuit Martyr. May God’s will, not mine, be done! Amen. Fr. 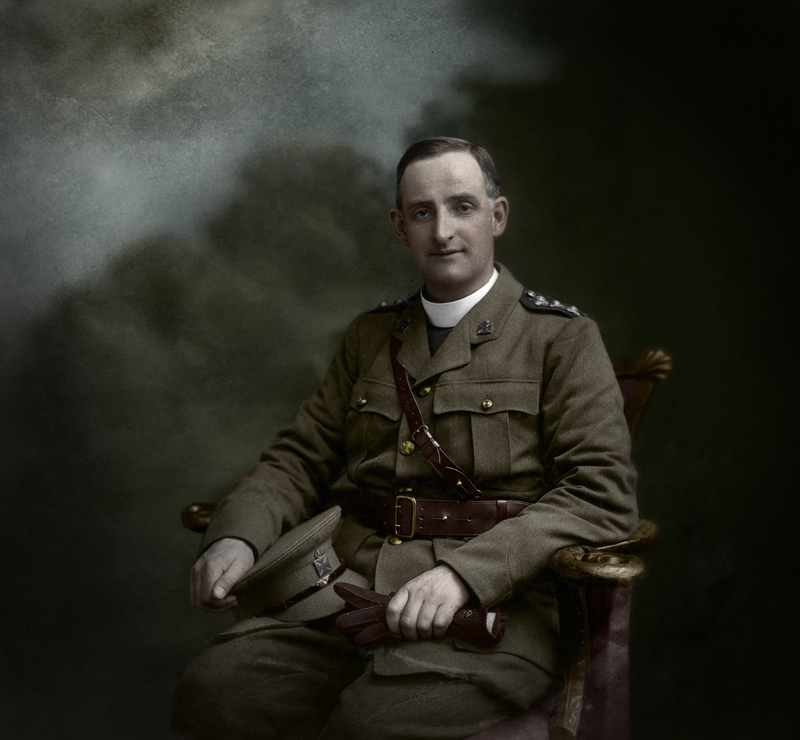 Doyle had been engaged from early morning in the front line, cheering and consoling his men, and attending to the many wounded. 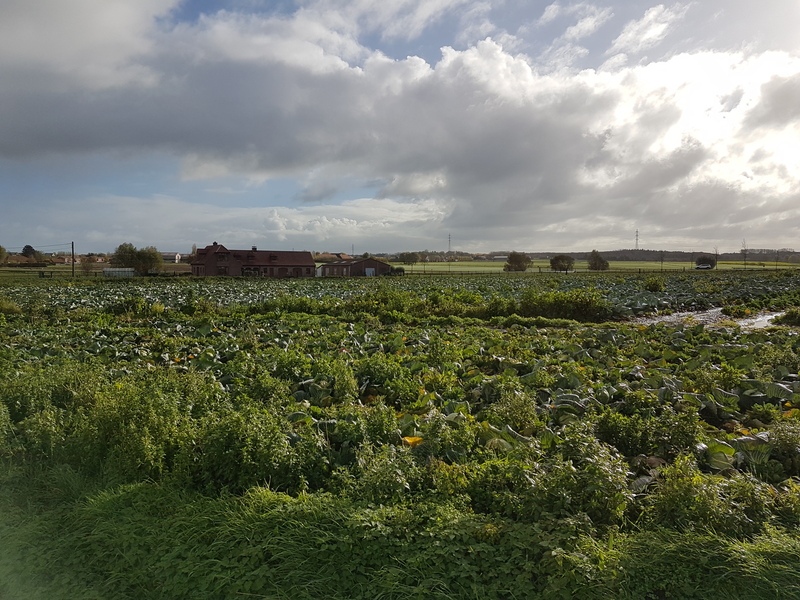 Soon after 3 p.m. he made his way back to the Regimental Aid Post which was in charge of a Corporal Raitt, the doctor having gone back to the rear some hours before. Whilst here word came in that an officer of the Dublins had been badly hit, and was lying out in an exposed position. Fr. Doyle at once decided to go out to him, and left the Aid Post with his runner, Private Mclnespie, and a Lieutenant Grant. Some twenty minutes later, at about a quarter to four, Mclnespie staggered into the Aid Post and fell down in a state of collapse from shell shock. Corporal Raitt went to his assistance and after considerable difficulty managed to revive him. His first words on coming back to consciousness were: “Fr. Doyle has been killed!” Then bit by bit the whole story was told. Fr. 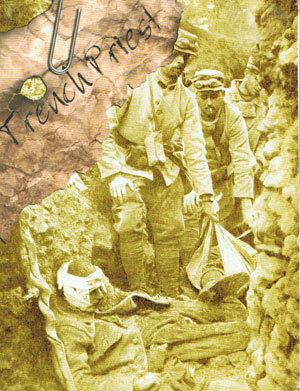 Doyle had found the wounded officer lying far out in a shell crater. He crawled out to him, absolved and anointed him, and then, half dragging, half carrying the dying man, managed to get him within the line. Three officers came up at this moment, and Mclnespie was sent for some water. This he got and was handing it to Fr. Doyle when a shell burst in the midst of the group, killing Fr. Doyle and the three officers instantaneously, and hurling Mclnespie violently to the ground. Later in the day some of the Dublins when retiring came across the bodies of all four. Recognising Fr. Doyle, they placed him and a Private Meehan, whom they were carrying back dead, behind a portion of the Frezenberg Redoubt and covered the bodies with sods and stones. 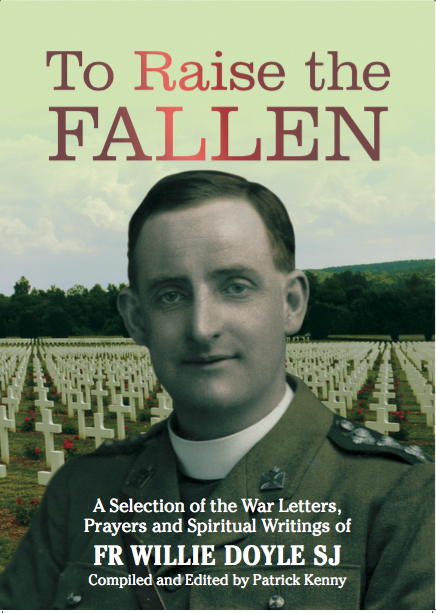 The book The Cross on the Sword: Catholic Chaplains in the Armed Forces claims that another military chaplain by the name of Fr Fitzmaurice heard Fr Doyle’s confession 15 minutes before his death. If this is true, then Fr Doyle himself had the great grace of confession just moments before death – this is a great gift to one who lost his own life while bringing this sacrament to others. 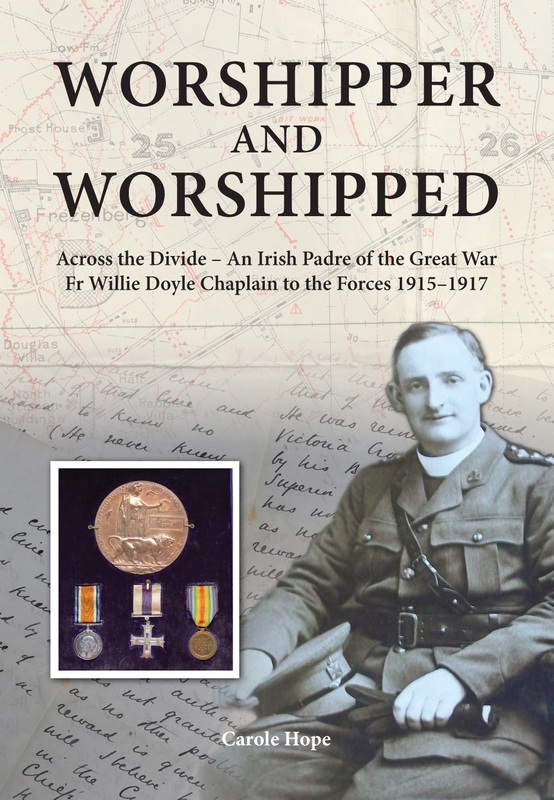 Those who wish to know more about Fr Doyle’s service as a military chaplain, and who wish to know the identity of the officers that Fr Doyle ran to help when he was killed, should purchase a copy of Carole Hope’s Worshipper and Worshipped. 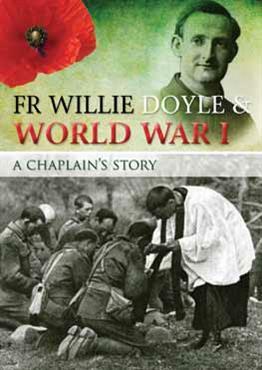 Other books focus on different aspects of Fr Doyle’s life, and all include extensive treatment of the war (including KV Turley’s CTS booklet, Carmel Ui Cheallaigh’s Man of the People for children, and my own To Raise the Fallen which includes about 60 pages of war letters); but it is Worshipper and Worshipped that is the definitive scholarly guide to the specific military aspect of Fr Doyle’s life. Entice the wild beasts to become my tomb and leave no trace of my body so that in falling asleep I may be a burden to no one. Then shall I be really a disciple of Jesus Christ, when the world will not even see my body. I beg of God whom I love to grant me that I may shed my blood with those strangers and captives for His name’s sake, even though I be without burial itself, or my corpse be most miserably divided, limb by limb, amongst dogs and fierce beasts, or the birds of the air devour it. I think it most certain that if this happens to me, I shall have gained my soul with my body. And so it was with Fr Doyle. Greater love has no man than this, that a man lay down his life for his friends (John 15:13). 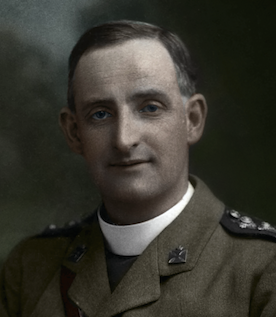 Thank you Fr Willie for this love that you showed to the wounded soldiers in the Great War and for the example of your struggle to grow in virtue throughout your life. Below is a song featuring Fr Doyle.